Genres: School Drama / Comedy? Summary: A girl, who cares about nothing except her grades, ends up delivering class notes to a male classmate who become attached to her as his only friend. Personal comments: It seems we have quite some in-your-face brutal humor styled comedies. I couldn't stop laughing throughout the first episode. Though it's mostly comedy, it is mixed with quite some dark scenes with some rather melancholy moments. It reminds me very much of Lovely Complex, except this is has a lot more of a take-no-prisoner brutality feel to it. 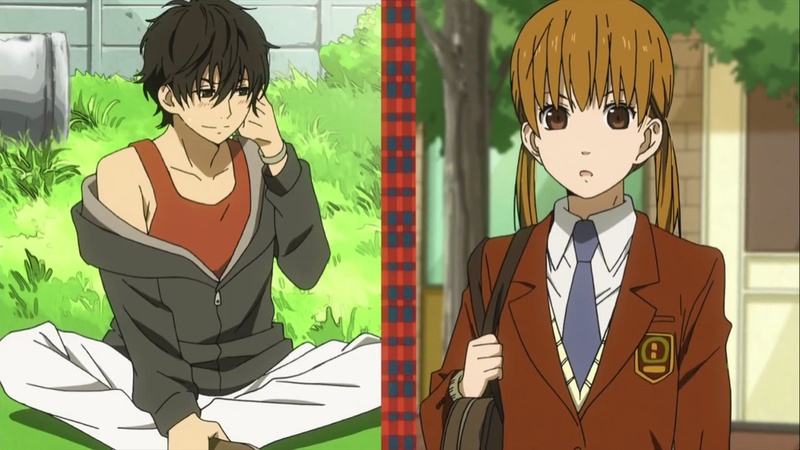 In terms of character, it actually feels like gender reversed duo from Hyouka. This, in my opinion is definitely a keeper.